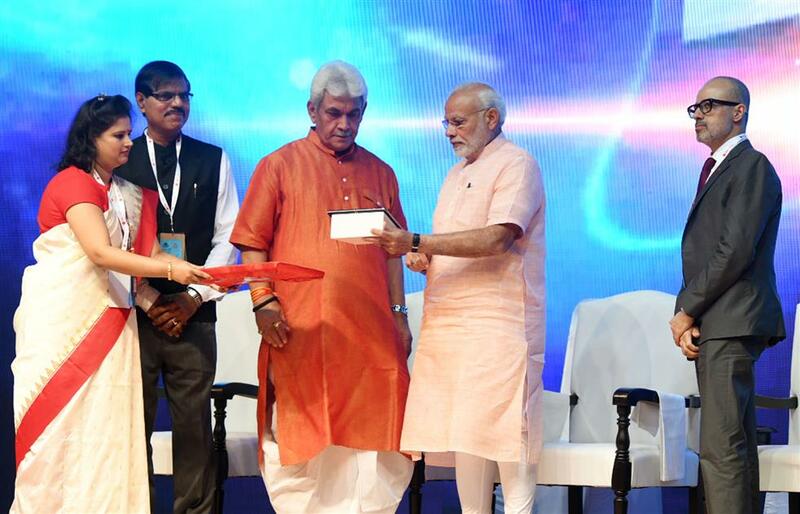 The Prime Minister, Shri Narendra Modi, today launched the India Post Payments Bank (IPPB) at Talkatora Stadium in New Delhi. The function was witnessed at over 3000 locations across the country, which were connected to the main event in Delhi. Speaking on the occasion, the Prime Minister said that through the India Post Payments Bank, banking services will conveniently reach the remotest places in the country, and the people living there. He recalled that the Union Government had earlier rolled out the Jan Dhan Yojana to establish financial inclusion. He said that today’s launch of IPPB is one more step to achieve this objective. He said IPPB branches have opened across 650 districts today. The Prime Minister said that the postman has long been a respected and accepted person in the villages. He said the trust on the postman remains, despite the advent of modern technology. He said that the Government’s approach is to reform existing frameworks and structures, and hence, transform them in accordance with the changing times. He said that there are over 1.5 lakh post offices and over three lakh postmen or “grameen dak sevaks” who are connected to the people of the country. Now they shall be empowered with smartphones and digital devices to provide financial services. The Prime Minister said that since 2014, the Union Government has been dealing firmly with the distortions and problems that had arisen in India’s banking sector due to indiscriminate loan advances. He said existing loans have been reviewed and a professional approach has been taken with regard to the banking sector. He mentioned other measures such as the Fugitive Economic Offenders Bill, which have been taken to ensure that the guilty are punished. The Prime Minister said that now Mudra loans worth over 13 lakh crore rupees have been given to the poor and middle class, for creating self-employment opportunities. He said that today, as India achieves its best ever Asian Games performance, and the economy shows excellent growth numbers, the entire country is full of new self-confidence. He said this is the result of the collective efforts of the people. He said today India is not just the fastest growing economy in the world, but also the country that is eradicating poverty the fastest. The Prime Minister said that 3 lakh “dak sevaks” would be the key to provide financial services to every home, every farmer and every small enterprise in the villages. He mentioned that in recent months, several steps have been taken for the welfare of “dak sevaks” and to meet their long pending demand. These have led to a substantial increase in their salary, he added. He expressed confidence that IPPB shall reach over 1.5 lakh post offices across the country within the next few months. Ours is a Government for the wellbeing of every Indian. UPA’s ‘telephone banking’ led to a massive NPA problem, which we are solving.